Transformation leader in payments and open banking. Passionate about technology’s potential to create opportunity and manage risk. Optimistic runner. Film enthusiast. The potential for cryptocurrencies to increase speed and lower the cost of doing business is threatened by theft, poor security and criminal activity. The accelerating growth of cryptocurrency markets presents a dire need for regulatory controls around crypto assets. Many people assume that protecting blockchain technology, the almost tamper-proof distributed ledger that underlies cryptocurrencies, ensures the security of cryptocurrencies. But crypto exchanges are regularly hacked — the largest so far on January 2018 when Coincheck lost US$530m. Meanwhile, the flood of initial coin offerings (ICOs) invites abuse, and the anonymity of cryptocurrencies facilitates illegal dealing in everything from weapons to drugs to human trafficking. While the underlying technology might be secure, cryptocurrencies are not — and, even if they were, their ease of use supports criminal activity. Asserting regulatory controls will not be easy. Many argue that dramatic value fluctuations make cryptocurrencies more like commodities than currencies, leaving regulators perplexed. Despite concerns about regulation stifling potential innovation in crypto assets, there are exciting developments; for example. Kenyan startup BitPesa — a bitcoin-based remittance service that integrates with Kenya’s mobile money system M-Pesa to reduce friction and transaction fees. 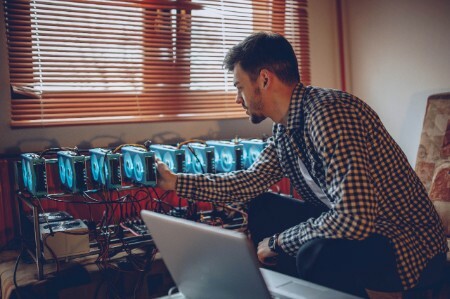 In trade finance, the DLT that underpins cryptocurrencies may allow supporting documentation to be attached to financial transactions, reducing risk of human error or exploitation. But the risks of cryptocurrencies must be addressed before they can live up to their potential. Many risks relate to crypto’s anonymity. Although the path of a cryptocurrency token on the blockchain’s open, decentralized distributed network is transparent, the token ownership and what it was used for is not. This anonymity is not compatible with current laws and global regulatory trends demanding more transparency to guard against money laundering, tax avoidance and other criminal activities. If governments cannot see a transaction, they cannot identify evaded taxes. Even Switzerland has had to relax privacy laws to transfer money in and out of the country. Anonymity also puts large financial institutions in a bind. New laws that tighten liability rules for large companies, such as banks and accounting firms, could impact financial institutions’ willingness to accept or transfer cryptocurrencies. The EU and UK’s anti-money-laundering directives and Criminal Finances Act compel financial institutions not to deal with any transaction related to criminal activities. Even “not confirming” that taxes have been paid on the cryptocurrency being transferred into a bank could be considered facilitating criminal activity. Similarly, if the owner of a crypto asset is anonymous, financial institutions may struggle to identify illegal movements of sanctioned assets or activities of people and organizations subject to economic sanctions. With these risks in mind, it is easy to see how poorly regulated cryptocurrencies could have disastrous consequences, leaving consumers open to fraud risk, reducing government coffers and funding terrorism, human trafficking and other criminal activity. Regulation has emerged on a country-by-country basis, without international coordination. Interestingly, the less democratic countries see crypto as a more immediate threat — specifically to their own central authority over the money supply — and have been quicker to address the absence of regulation. While China was once home to the world’s most active cryptocurrency exchanges, authorities banned these last year and have since blocked access to platforms that offer exchange-like services. Chinese regulators have been at the forefront of a global push to rein cryptocurrencies amid concerns over excessive speculation, money laundering, tax evasion and fraud. The tougher stance is beginning to catch on. In the US, the Securities and Exchange Commission (SEC) has launched multiple probes, saying many coin issuers, their lawyers and advisors may have breached its rules. SEC Chair Jay Clayton said he believes most digital tokens are effectively securities and should be regulated as such. However, Clayton also acknowledges that definitions in the industry are evolving, DLT has incredible promise for the financial industry and regulators must be flexible. In Europe, the European Securities and Markets Authority (ESMA) stresses that ICOs are extremely risky, highly speculative investments that may fall outside the regulated sector. Meanwhile, in February, the European Supervisory Authorities (ESAs) for securities, banking, insurance and pensions jointly announced concerns about an increasing number of people buying highly risky virtual currencies without being aware of the risks. Since virtual currencies and exchanges used to trade them are not regulated under EU law, regulators warned that cryptocurrency investors are not protected from a cyber attack or if an exchange goes out of business. Mark Carney, Governor of the Bank of England, emphasizes that crypto assets behave differently from other currencies but also argues that their regulation is vital. Current lack of international consensus on cryptocurrency governance perpetuates gaps, increases opportunities to evade regulation and is contrary to common reporting standards, the Foreign Account Tax Compliance Act and intergovernmental data-sharing. A consistent global approach to regulating cryptocurrencies is needed. In March 2018, International Monetary Fund (IMF) Managing Director Christine Lagarde said the IMF was focused on encouraging countries to develop policies that provide financial integrity and protect crypto asset consumers in the same manner as the traditional financial sector. Lagarde also claimed the technology behind crypto assets can be used to “fight fire with fire,” e.g., by using DLT to speed up information-sharing between market participants and regulators, creating registries of standard, verified customer information and helping fight cross-border tax evasion. Another possible — though more radical — way to bring cryptocurrencies into the light would be for a country to create a central bank digital currency (CBDC) — essentially today’s currency in digital form. On the plus side, a CBDC would be far superior to alternative digital currencies (ADCs) such as bitcoin. ADCs do not function well as a store of value: prices are too volatile, defenses against hacking are too weak and their backing is nonexistent. By contrast, central bank money is the quintessential store of value. The DLT is the current key competitive advantage ADCs have, and something central banks can and will acquire. Research from EY and Cambridge University shows that 63% of central banks and 69% of other public sector institutions are experimenting with DLT protocols. For now, the cons of a CBDC outweigh the pros. A freely available CBDC poses significant technology, security, privacy and legal challenges that create a discrepancy between “fiat” and “non-fiat” digital currencies. Most consumers would be drawn to the former, pushing non-fiat digital currencies further into the experimental fringes where criminal activity could persist. Cryptocurrencies (and the underlying DLT) have enormous potential to positively disrupt financial services by increasing the speed and lowering the cost of doing business. Appropriate controls are needed to prevent cryptocurrencies from becoming enablers of criminal activity and tax evasion. This will require a collaborative effort by international bodies, individual governments and the financial services industry. Cryptocurrencies have enormous potential to positively disrupt financial services by increasing the speed and reducing the cost of doing business. A coordinated international effort will be needed to make certain these new currencies do not enable criminal activity and tax evasion.